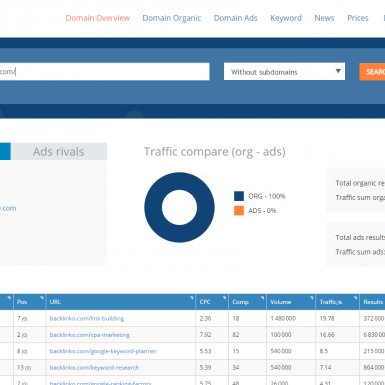 K-Meta, built on a 75-million keywords Google US daily updated database, allows to perform an excellent analysis of your competitors by keywords. 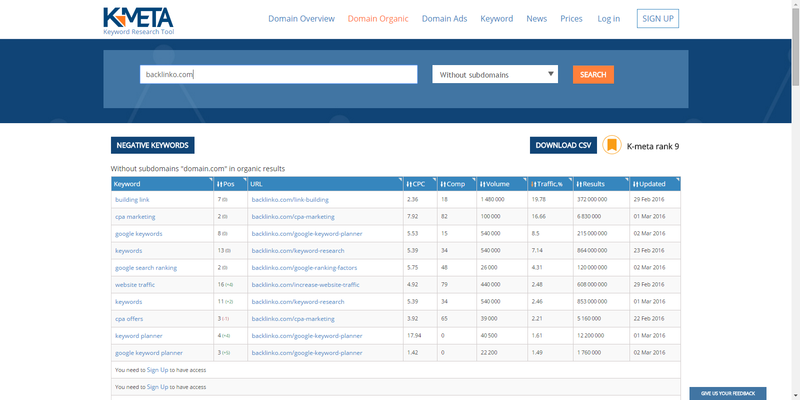 This includes their positions in SERPs, traffic, CPC, volume, most profitable keywords for organic and paid search. 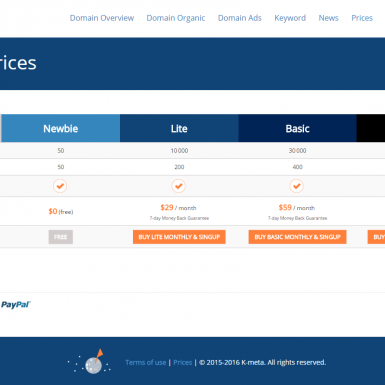 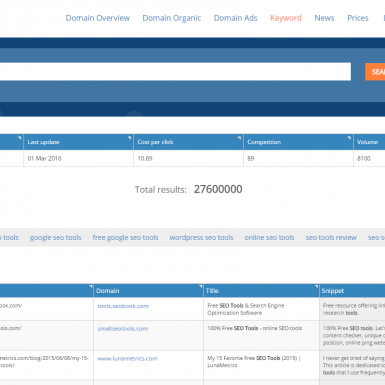 Functionally the tools resembles SEMRush or Ahrefs. 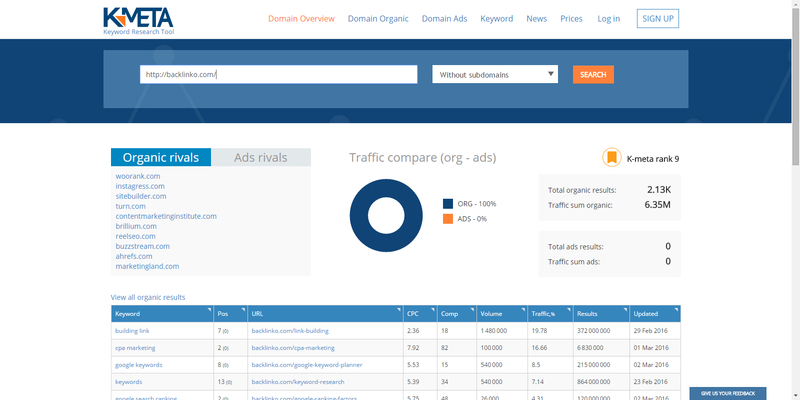 K-Meta will help you with competitor evaluation, comprehensive niche study, analysis of the profitability of the topical traffic, knowing with which keywords your rivals are on the top, getting relevant long tail keywords, building up a semantic core, content optimization, and getting more traffic. 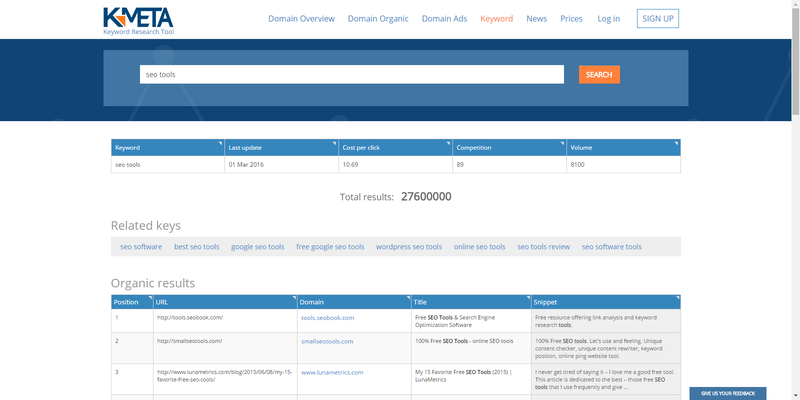 Just pop up a domain or a seed keyword, get the information and grab it as a .CSV report. 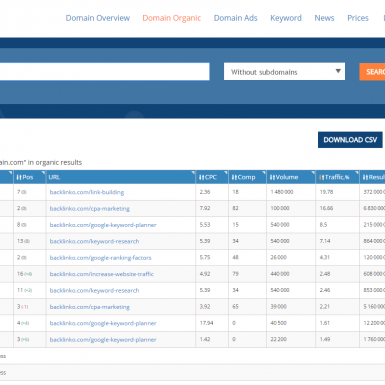 Free version is limited to 50 results per report and 50 reports per day. 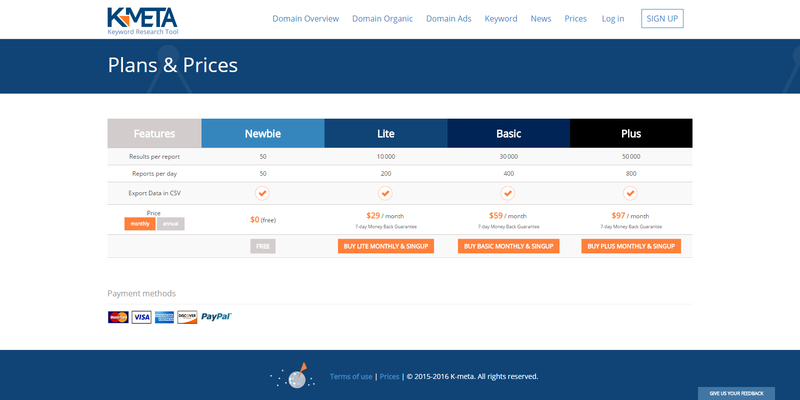 If you want more, use one of 3 paid plans with monthly payment.